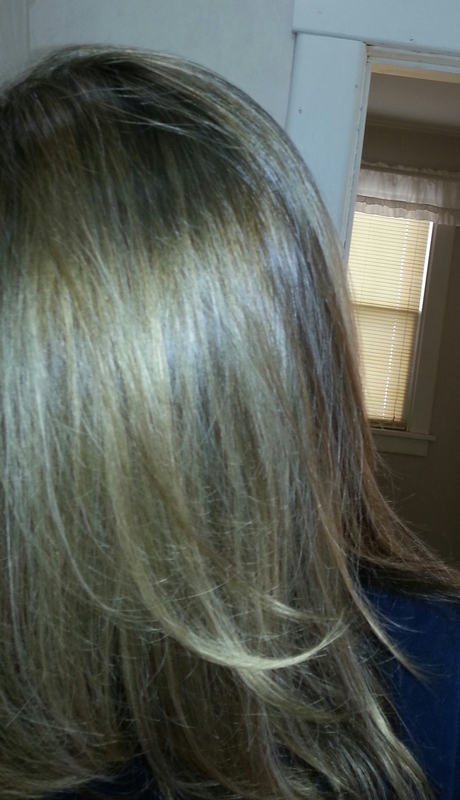 This is a transcript provided straight from a recent customer who just used Carley’s Keratin Conditioner. They gave us permission to paste their review and photos here and haven’t been edited in anyway. “I used your keratin treatment this morning. Holy smokes! I could actually comb through it relatively easily. Here are some photos after one use. I wish I had taken a “before” picture. If I find an old one, I’ll send it to you. I’ve been using your soap, cleanser, and moisturizers for a while now……most people don’t believe I’m almost 52. Thank you very much! “Today I used just the conditioner. (more pictures) My hair feels thicker, softer, actually holds the curl better…..I LOVE this stuff!! Carley’s Keratin is a new product thought of after seeing all of the Keratin Treatments in stores stock full of chemicals. Women leave this in their hair often up to 30 minutes long so why not develop a product with natural ingredients that doesn’t contain so many of those terrible ingredients? Oh and this is silicone-free! Essential Oils, Carrier Oils or Fragrance Oils… Which Should Go on Your Skin? Whether it’s going into your cars, on your food or on your skin – “oils” play an important role in the day to day lives of people. The origins and use of oils are so vastly diverse that it is hard to label every type of oil as such. While oil in cars is usually labeled a petroleum, the oil we’re talking is usually in the form of an essential oil or a carrier oil. Essential oils add the active qualities of a product. Whether it’s skin healing, soothing, softening, anti-inflammatory or a thousand different combinations of the above – every essential oil has numerous qualities. The only limit to a product with essential oils is what type go in what product. An essential oil known to soften rough skin will better go in a moisturizer than a discoloration cream. We use essential oils in just about every product we use. It is the active ingredient to fulfill the benefits that we aim the product to achieve. Not only are there numerous kinds of essential oils but there are numerous grades. We use the highest quality forms with the least dilution. Some companies believe just a drop of expensive oil is enough but we believe that’s deceptive advertising. Derived from the fatty portion of a plant, carrier oils are the vehicle that takes these oils through your skin. While some believe that oil containing products are what cause their breakouts there are others that believe that an oil can just sit on the skin. Both are wrong. Essential oils by itself may cause skin irritations or just sit there. Carrier oils will dilute these oils and allow the important stuff to break through the skin barriers. Combine these with an efficient method of making moisturizer, notably without ingredients that block absorption, and you get the complete benefits of these oils. 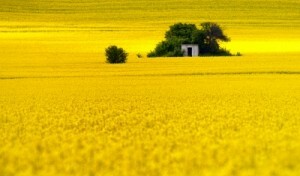 Fragrance oils are the mystery oils in the cosmetic industry. Manufacturers do not need to disclose what is contained in fragrances. This is problematic for those with allergies to fragrances or what is contained in the base form. It’s hard to identify every ingredient in a product when fragrances are used. 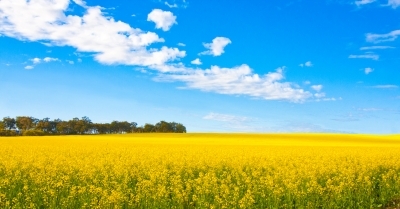 Aiming for paraben-free products? What about sulfate-free? With fragrances we probably will never know for sure! Fragrances add little to a product other than aroma. This smell is short lasting and usually better for attracting people to the product rather than what it actually does. Combine the risks of using fragrances with such superficial qualities and this makes it a hard sell for us. We don’t use fragrances in any of our products. As explained in our exfoliation guide, the body produces uneven amounts of skin cells in different areas. The reason your lips are red is due to the relative thin layer of skin you have there. The same holds true for the soles of your feet and palms. Alternatively, areas such as the outer arms and thighs are thick. With thick often comes problems such as keratosis pilaris. Keratosis pilaris (or KP) is an incurable skin condition that produces rough, red bumps on the body. Most often seen on the arms, this condition is characterized by unsightly rough patches. Usually mistaken for body acne, we’ve found exfoliation and the acne treatment to help with both body acne and keratosis pilaris. Skin growth proteins (called keratin) block the hair follicles and form these bumps – usually in this area. Body Acne or Keratosis Pilaris? If you are suffering from body bumps in areas like the chest and back you probably have body acne. These are areas especially to susceptible body acne and should be treated just like facial acne – with a bit more exfoliation. Instead of individual bumps you notice that your skin irritations look more like a patch. 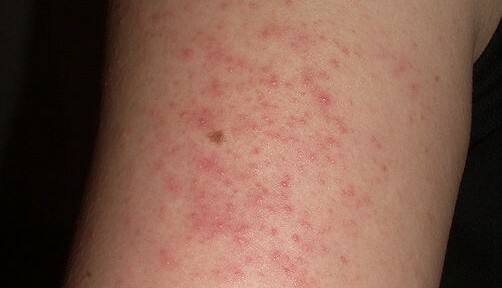 The skin is rough and forms goosebumps on areas previously mentioned – like the arms and thighs. Dry conditions seem to make it get worse unlike acne. You likely have KP. This condition is incurable but we’ve had customers raving about how our products help. 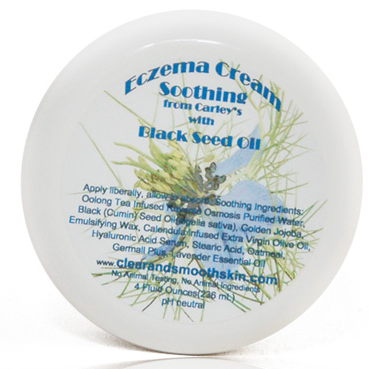 Though slightly different than eczema, we recommend similar ways to treat the skin. Use the body acne method. Quick start instructions can also be a good guide for the right way to lather and apply the treatment. Use the eczema cream on the areas. 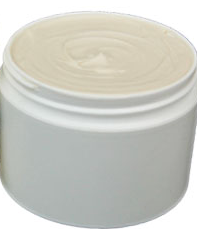 We’ve found this to be the best cream in treating the sort of dry, irritated skin that you get with keratosis pilaris. Keep the skin moisturized. A moisturizer that absorbs easily such as a dimethicone-free one works best. Many sufferers of keratosis pilaris will not even see conditions in the humid summer months. Just following some of these steps has done wonders for many of our customers. Think about a time when your skin was at it’s worse. It probably had an oily, greasy feeling that you couldn’t shake. It’s no wonder that you think the last thing your skin could use is a moisturizer containing oil. But that is exactly what I’m recommending you do. Jojoba oil – Similar to natural skin oils. Known to soften and moisturize dry/mature skin. Also known to treat skin ailments like psoriasis, dermatitis, oily scalps and acne. Kukui nut oil – Often used as a skin treatment after major sun exposure. Known to treat acne, eczema, chapped skin and even hemorrhoids. Tamanu oil – Known to treat dry and delicate skin as well as healing leg ulcers and bruises. There are literally HUNDREDS of oils with different effects on the skin. The notion that you should use none of these is absurd. You are robbing yourself if you don’t expose your skin to these amazing oils. While your worrying that oil from cosmetics causes acne, you’re missing out on the oils known to treat acne! Parabens – Used to extend the shelf life of cosmetics. Parabens are actually a family of several chemicals and are known to disrupt the endocrine system. EDTA – Dissolves limescale. Also thrown in cosmetics so products don’t bubble up during manufacturing. Phenoxyethanol – Used as an insect repellant and anesthetic in aquaculture (fish). Also used in cosmetics as a preservative and is known to depress the central nervous system. Fragrances – Typically an allergen. 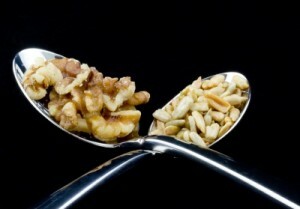 People that eat nuts are said to live two to three years longer than normal. Why? Nuts and seeds carry bountiful nutrients our bodies use. Similar to a mother delivering nutrients to a baby by nursing, plants use oils as a way to deliver nutrients to offspring before they sink down roots. Every plant has it’s own formula within their seeds. The skin loves these oils because they are rich in nutrients. So as long as the oils can be carried through the skin (again, this where dimethicone fails) then they provide magical benefits. Some are allergic to certain nuts and oils. This has provoked widespread fear in the industry to provide any oils – let alone the good ones. If you look at Mayo Clinic’s list of the top ten skin allergens, oils aren’t even there! Mostly artificial fragrances, preservatives and metals found in your average store-bought cosmetics. Allergic reactions to oils happen but they are rare.